Availability: Out of stock. More expected soon. Orders will be dispatched ASAP. 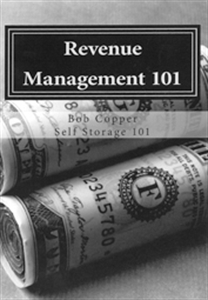 Learning the art of effective revenue management is one of the most important skills the self-storage owner/operator can have. Using the proven and effective techniques outlined in this book, industry professionals will increase facility revenue and asset value. This guide takes the mystery out of revenue management and provides clear and easy-to-implement strategies for undertaking this important task.